With the sun setting low in the west, the sky turned pastel blues and oranges as a field of bluebonnets enjoyed the quiet evening. 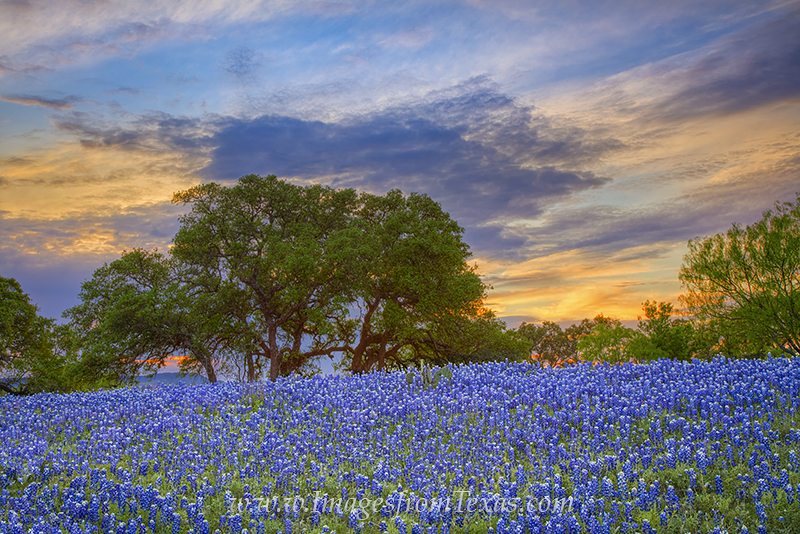 In spring, scenes like this are common in the Texas Hill Country. It may take a little driving, but you can usually find bluebonnets or other Texas wildflowers. Photo © copyright by Rob Greebon.